CUBG will organize to unify the botanical gardens nationwide to conserve native plants in geographic regions of China. And for that each participant needs to make use of multiple tools. in the toolbox of conservation botany. It will help to explore the available methods for plant conservation in China, as well as improving the capacity for native plant preservation in botanical gardens. The first phase for this project, from 2013 to 2016 has nominated eight botanical gardens as the pilots. These are Xishuangbanna Tropical Botanical Garden, Kunming Botanical Garden, Guilin Botanical Garden, Wuhan Botanical Garden, Nanjing Botanical Garden, Memorial Sun Yat-Sen, Shenyang Arboretum, CAS, Beijing Botanical Garden, IOB, and Turpan Desert Botanical Garden. They will first assess the threaten status of native plants according to the existing plant list and specimen. Wild survey will be conducted to identify or adjust the status, eps for endangered. Targeted conservative methods, like in and ex situ conservation, reintroduction and environmental education will conduce to protect native plants against ecological extinction. During the second phase from 2017 to 2019, the regions for survey and protection have extended to 14. 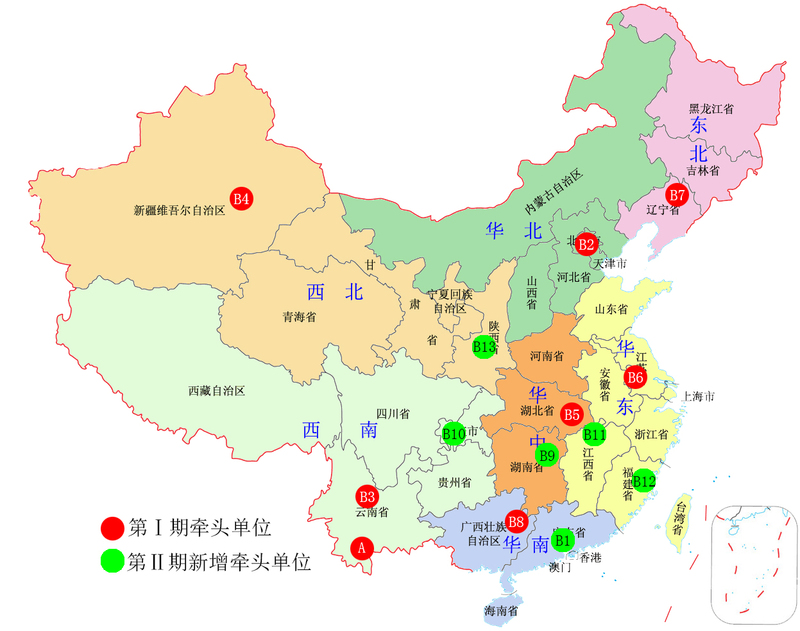 And the six new participants are South China Botanical Garden, Lushan Botanical Garden, Qinling National Botanical Garden, Fuzhou Botanical Garden, Hunan Forest Botanical Garden and Nanshan Botanical Garden.